At the top of the Idaho School Board Association Convention website there’s a count-down clock. Right now the display reads 15 days, 10 hours and so many minutes and seconds left on it. It looks like a count down to a party. The website lists all the activities that will be taking place during the three-day conference, Nov 6-8. 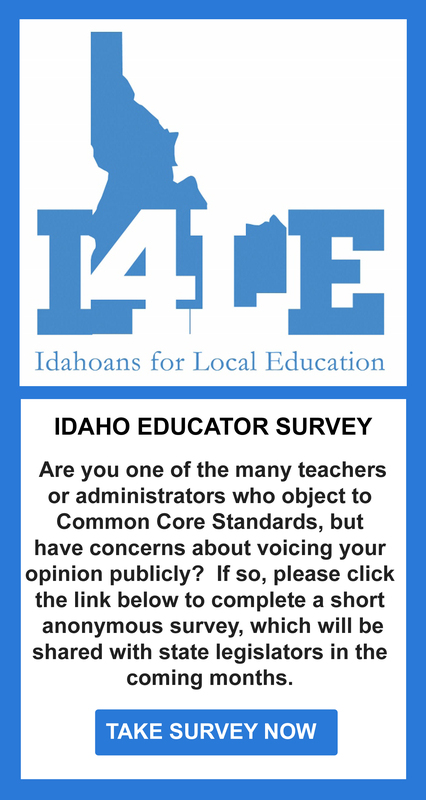 The Idaho State Department of Education’s communications staff will walk you through the Idaho Core Standards Communications Toolkit and share key strategies for communicating with parents, patrons, and the media about the new Idaho Core Standards in your local community. Although it sounds benign at face value, this becomes alarming when you look at the resolutions they have on the table. Most troubling is ISBA Resolution Two: “Support for Idaho Core Standards.” The resolution is a compilation of all the talking points used to promote Common Core (Voluntary, state-led, adopted by the state legislature) – none of which are based in fact. This is a Call to Action. Call your local school board members. Tell them you don’t want this Common Core resolution passed. When you’re done with that contact the Idaho School Board Association, tell them the same thing. Look over this list to see who is from your region and send them a special note asking them to not support Resolution 2. It’s time to get to work, fast.